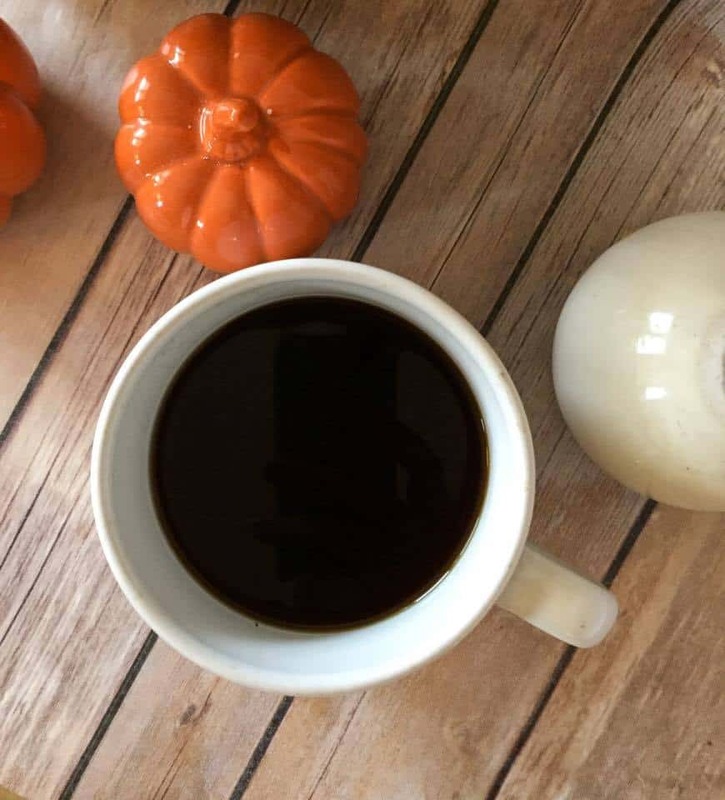 A rich and creamy autumn spice coffee creamer. Perfect for every cup of coffee. I have a confession to make — I used to be addicted to coffee creamer. Seriously, at any given time you could find 3-5 different flavors in my fridge. About four years ago I went on a very strict (NOT THM) diet for a period of time. This diet included cutting out sugar, and when it was all said and done, I found that my love for flavored creamer was gone. Now I just prefer half & half or occasionally some heavy cream. 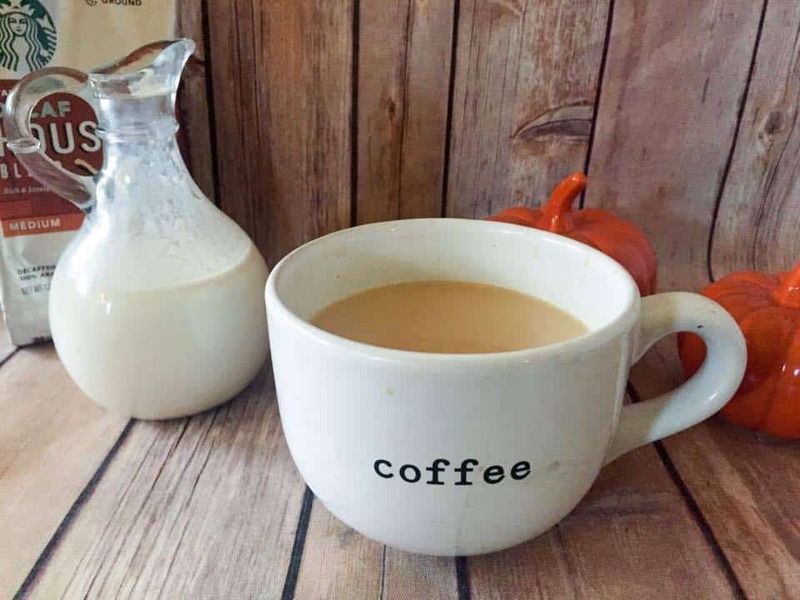 But I know there are many Mamas (and Papas) who still love their coffee creamer! And it is so easy to make your own at home – you don’t have to feel deprived! 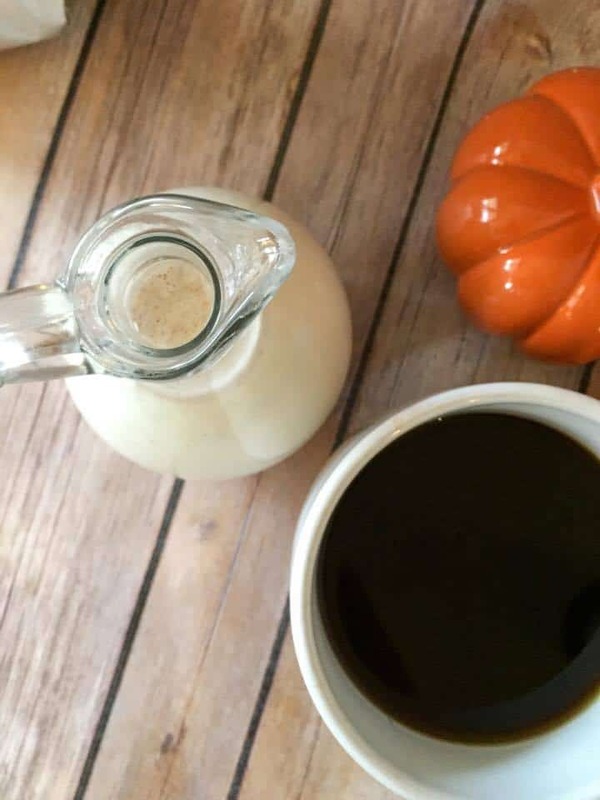 Especially in this season of everything pumpkin and spice, many people miss their pumpkin spice coffee creamer. Well, I’m here to tell you that it is possible to have a delicious THM-Friendly coffee creamer! It is easy to make, and will last for a week or so in your refrigerator. 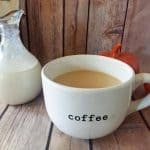 If you like coffee syrups, my blogging buddy Teresia over at Nana’s Little Kitchen has some amazing coffee syrups! I didn’t title it pumpkin spice because there is actually no pumpkin in this creamer, only spices. Hence the name “Autumn Spice.” My husband thinks pumpkin is over-rated anyway. He is not a pumpkin fan, so he does not appreciate all my Pumpkin-themed cooking as of late! I, on the other hand, can eat pumpkin year-round! , I would start with 2 Tablespoons, tasting as I went to see if it needed more. Combine all ingredients in a covered jar and shake well. Please note that the spices may settle to the bottom of the jar. Just give it a good shake before you use it and it should be fine. I’m not a coffee drinker but I know someone who is who would LOVE this! This sounds perfect for Fall & simple to make. I used to be guilty of the flavored coffee creamer addition too, lol. My parents are big creamer addicts. They are visiting in December. I’ll have to make some for them. I think the spice will be especially nice then. Thanks so much for the recipe. I normally drink my coffee black or with a splash of milk, but sometimes it’s nice to mix things up. I love the sound of your creamer! This sounds like it would taste sensational! I can’t find the low carb sugar free condensed milk!!!! Where can I look? Click the link in the recipe card and it will take you to the recipe. 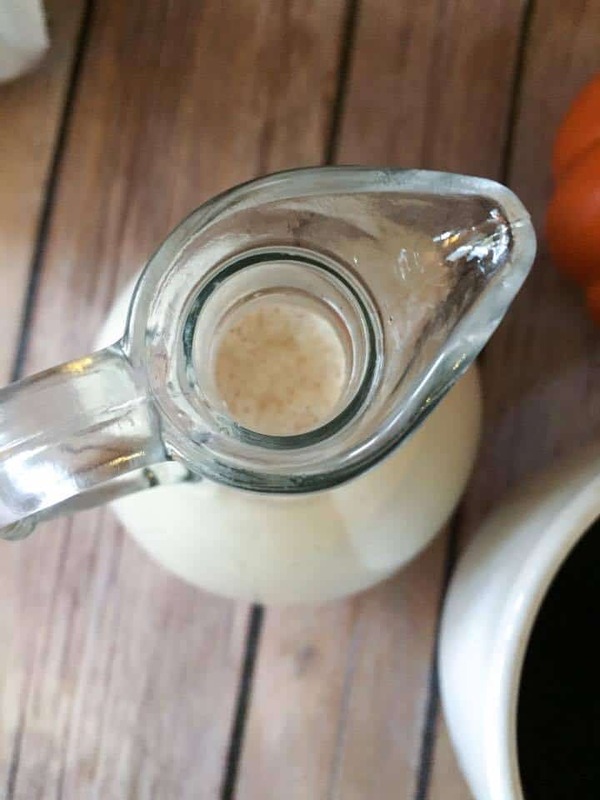 (Or here is the direct link – http://mymontanakitchen.com/2016/10/06/3-ingredient-sweetened-condensed-milk-thm-s-low-carb-sugar-free/). I use the whole batch of condensed milk. Every post I see on THM facebook page, asking for help with their coffee- I post this recipe!!!!! This sugar free sweetened condensed milk sounds wonderful, but I don’t see the full recipe. I see the video but what are the measurements? The recipe is all the way at the bottom of the post.